If you have a Samsung Galaxy S3, then you know what a great phone it is. After investing in such a great device, you want to make sure you take care of it. You will need a case. When I decided to put this page together, I didn't want to feature just any cases. 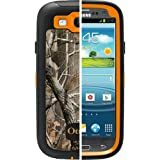 I wanted to feature some of the best Samsung Galaxy SIII Cases, according to the people who use them. In order to do that, I needed to check out customer reviews. In my opinion, most products with 4 stars or higher are pretty good products, so I chose cases that fit that criteria. 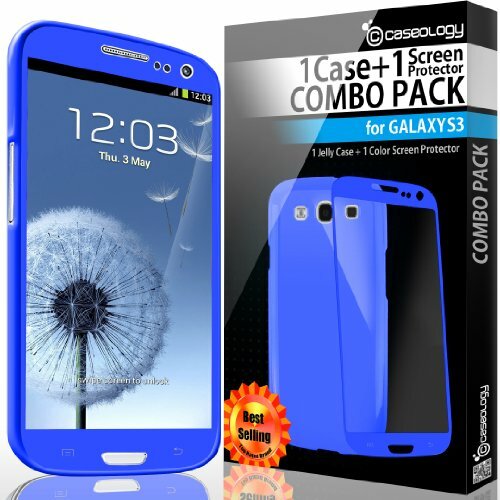 The cases you will find here, are cases that should serve to protect your S3, and do it in style. What Type of Case Should You Get? There are literally tens of thousands of phone cases on the market today. Many of them are very good, and some an not so good. The hard part, is trying to figure out which one will protect your device, and look good while doing it, and not interfere with your phones functions. Everyone has different tastes when it comes to style, so I have tried to include a variety of styles to choose from. When I was looking for quality cases to feature on this page, one brand that came up high on the list was Ballistic. Ballistic cases provide 3 layers of protection for your phone. The first layer, is an Inner layer of silicone, which absorbs shock. 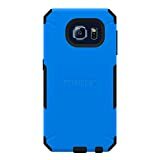 The second layer, is a polycarbonate shell, that is impact resistant. The third layer, is another shock absorbing layer, of polymer. The fourth layer is a screen protector. Another brand that got very high customer review scores, were the Square One [Mercury] Slim Fit Flexible TPU Cases. They come in a huge range of colors, and like the names says, they are slim fit. 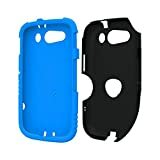 These designs are compatible with Samsung Galaxy S3 GT-i9300, and fit all versions, including Sprint, T-Mobile, AT&T, and Verizon. They are also very reasonably priced. The design of the cases protects your screen if laid face down. Please click on one of the charts below for related products. 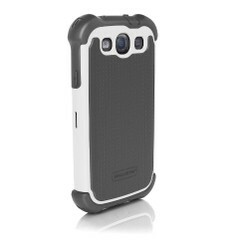 Trident Samsung S3 Cases also get high marks from customers who have purchased them. 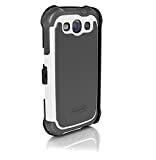 The Trident Samsung Galaxy SIII Cases featured here, have a hardened polycarbonate outer cases, which is especially stylish, when the color contrasts with the color of the sleek inner case. These Trident cases are actually two cases in one. You can use them together, or just use the inner case, if you wish. The double layered protection, give you extra peace of mind, that your device has some extra protection if dropped. When I was deciding which cases to feature here, I started checking out customer reviews. When it comes to satisfied customers, they are leading the pack. For instance, the cases you see to the right, have been purchased by 1,158 customers, and were rated 4.7 out of 5 stars. That is outstanding satisfaction, when compared to many similar products. They have an impact resistant core, and a hard armor shell. The unique design, makes them visually appealing, and they also come in other colors than pictured here. 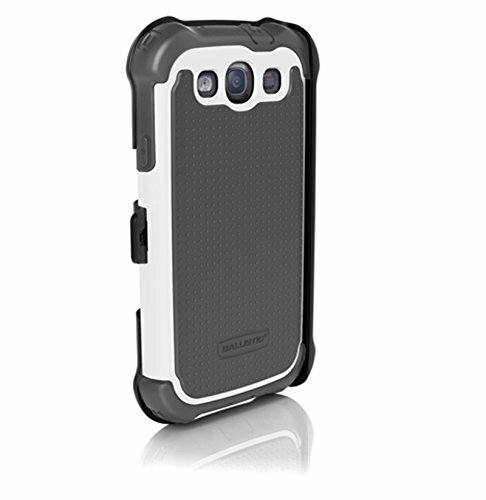 The impact resistant bumpers add a little extra protection against drops. We all drop our phones at some point, or at least most people do. I know I've dropped mine several times, and while it's on the way to the ground, we all have the same thought......oh no, did I break it. 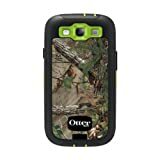 The OtterBox Defender Series Cases have a lot of satisfied customers who own them. They get constantly high reviews along with the cases previously mentioned here. 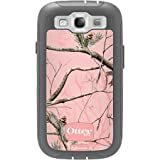 At the time I write this, the Camo Otterbox Samsung Galaxy S3 cases below, have above 4 star ratings, out of a possible 5 stars. been purchased by 2,577 people, who have taken the time to review it, and has 4.2 stars out of 5. The Defender series cases are also available in other colors. There are enough choices for anyone to find one they like. I see camo everywhere I go. If you like things in camo, here are some nice covers with camouflage. If you want something a bit more unique, you might consider one of these Zazzle cases. 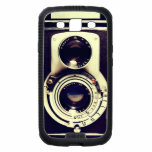 Zazzle Cases are usually customizable, and are made to have a perfect fit on your phone. They can keep you from getting those annoying scratches that can come with ordinary daily use, without a case. One of the things I like about Zazzle, is the fact that they have literally thousands of unique designs to choose from. I'm an affiliate, so I even have a few of my own designs there. Showing support for members of the military is very important. These great Military iPhone Cases, are a great way to do that. Are you a fan of Family Guy? Know someone who is? Well, for anyone who is a fan of Family Guy, and has an iPhone, or iPod, these Family Guy Cases are sure to please.